A total absence of the opposition is likely to make Karabakh’s upcoming parliamentary elections different from the previous four votes conducted in the Armenian republic since it declared its independence from Baku and convoked its first legislative body in 1991. The vote is scheduled for May 23 this year. Many in Karabakh justify the absence of the opposition in the elections by the de-facto state of war in which the republics still continues to live nearly 16 years after a ceasefire was signed with Azerbaijan. Such forces are convinced that Karabakh needs national solidarity, while the function of the opposition is perceived by many as splitting the society and serving the interests of alien forces. Leader of the ruling Democratic Party of Artsakh and current Speaker of Karabakh’s Parliament Ashot Ghulyan urges Karabakh Armenians to stop artificially dividing the people into “friends and foes”. “The presidential election in 2007 showed that our people no longer need solidarity,” said the speaker. His deputy, representative of the Free Homeland party Rudik Hyusnunts says that the Artsakh movement has no opposition and that while the tasks of the Movement remain topical in Karabakh, the opposition will have nothing to do in the republic. Leader of the Karabakh organization of the Armenian Revolutionary Federation (ARF, Dashnaktsutyun) David Ishkhanyan says that when the state is facing the task of surviving and building a social state, the notion of opposition in its classical sense becomes senseless. Dashnaktsutyun is the only political party in Karabakh that has declared itself ‘constructive opposition’. 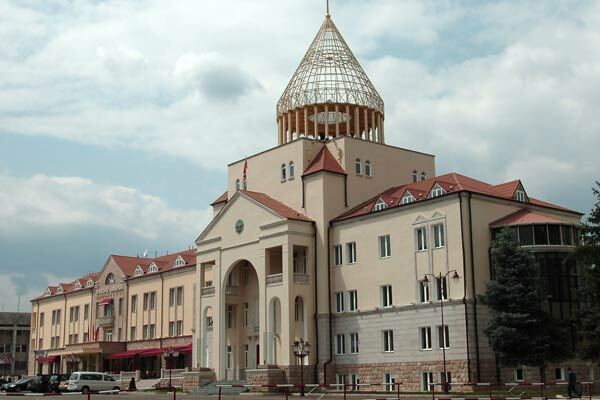 Karabakh has a 33-seat parliament. In its current parliament 22 deputies were elected through party lists and 11 from single-mandate constituencies. Four political parties, including the Democratic Party of Artsakh (DPA), Free Homeland, ARF Dashnaktsutyun (one deputy) and Movement 88 (one deputy), are represented in the Karabakh parliament today. At first DPA held 15 mandates and Free Homeland held 12 mandates. But a new group, Artsakhatun, broke away from the DPA faction a year ago. Gegham Baghdasaryan, an MP elected from the bloc of ARFD-Movement 88 but later becoming non-aligned, is a one-man opposition in Karabakh’s legislature today. What will be the lineup in Karabakh’s parliament of the next convocation? This is a question that many in Karabakh are interested to know an answer to today. Chairman of the NKR Public Council on Foreign Policy and Security Masis Mayilyan, who was the key rival of incumbent NKR President Bako Sahakyan in the 2007 election, said he would not participate in the legislative polls. “The executive power possesses strong levers in the process of forming the parliament. That’s why even by gaining a parliamentary majority we will hardly be able to carry out our program of reform. And it is even harder to pursue a reform as a parliamentary minority. Besides, I’ve never been an oppositionist, rather I’ve been an active advocate of reforms,” says Mayilyan. The parliament recently made amendments in the Electoral Code according to which the election threshold for political parties has been lowered from 10 to 6 percent and for election blocs from 15 to 8 percent. This will open the way for some smaller parties, such as the Communist Party or such minor parties as Moral Revival of Murad Petrosyan or Social Independent of Karen Ohanjanyan, to parliament. A new party emerged recently, Christian-Democratic Party, and it is also seeking to win seats in the legislature. Meanwhile, the first secretary of the Communist Party Hrant Melkumyan stated that the parliament needs left-wing forces. But most candidates are likely to stake on single-mandate constituencies. An amendment has been introduced into the current Electoral Code to change the proportion of party-list and single-mandate constituency seats in the legislature in favor of the latter from current 22-11 to 17-16. And election campaigns are likely to be held in a very personalized manner – the president will try to have his loyalists enter the parliament. People in Karabakh, meanwhile, already now talk about the prospect of the upcoming elections becoming the most predictable in the history of Artsakh.